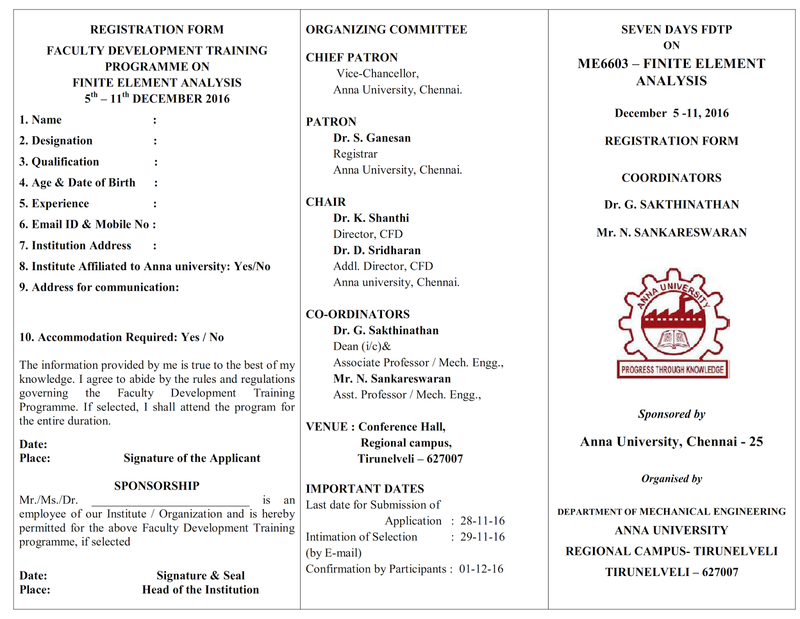 The Department of Mechcanical Engineering,Anna University Regional Campus-Tirunelveli has Organized the Faculty Development Training Programme "ME6603 – Finite Element Analysis "on 01st December to 11th December 2016 . 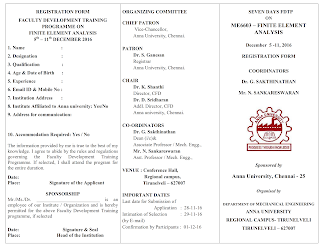 Faculty members of any of the affiliated college Under Anna University, belonging to the Department of Mechanical Engineering are eligible to attend this programme . Confirmation of participation is to be made by email. Interested persons are requested to fill up the application form in the prescribed format and send it to the Coordinator's address given below to reach by on or before 28th November 2016.